NEWS THAT the Federal government has dropped the case against David Hicks over his book Guantanamo, My Journey under proceeds of crime legislation complicates the claims used against him the US Military tribunal at Guantanamo Bay where the incarcerated Hicks entered an Alford plea, a US technical device where the accused admits the prosecution has enough evidence to find him guilty. In that way, the evidence is never tested in court. 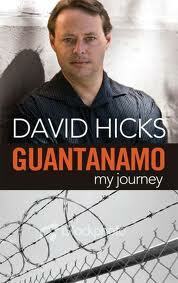 In return Hicks was immediately repatriated to Australia after years of being held in jail on no charge. Hicks was castigated by then PM John Howard and Foreign Minister Alexander Downer as being the "worst of the worst", an ironic charge from 2 politicians who failed to notice under their watch the Australian Wheat Board was illegally bribing Saddam Hussein with over $200M. 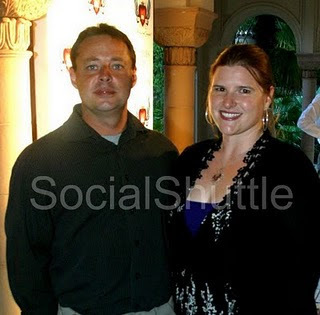 The Shuttle met David Hicks and his wife at a cocktail party in 2010 at the Sydney harbourside mansion Boomerang (where Mission Impossible 2 was filmed) and it was difficult to reconcile the dastardly image painted by politicians with the polite young man. 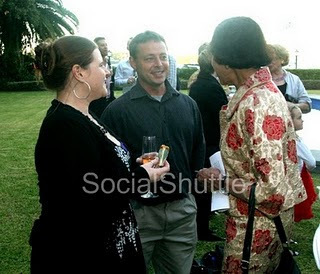 NSW Governor Marie Bashir also chatted to the couple in a friendly manner. An opinion writer of the right leaning IPA 'think tank' who contributes to the ABC's The Drum also attacked attendees of the 2011 Sydney Writers Festival for listening attentively to Hicks tale about his treatment at Gitmo where he says he was drugged and tortured. In this piece published in the SMH, "Audience on their feet for a fraud" he calls them 'incredulous fools". The Shuttle tangled with that writer via email but thankfully he has now gone to the bosom of Opposition leader Tony Abbott as an adviser. That's the same Abbott who was also a Minster in Howard's government where he also apparently over-looked a stream of emails indicating that against UN sanctions, the AWB was sending hundreds of millions of dollars in kickbacks to the Saddam regime. Despite the mass of evidence produced during an investigation and Downer's evidence he couldn't 'recall' seeing memos about the scandal, no-one was every charged (or required to enter an Alford plea).